But on July 28th 2014, ten young people from Chorley Sea Cadets aged 13 – 16 left Chorley train station and set off on the trip of a lifetime. After an eventful train journey to Glasgow Central, we arrived in the midst of the opening weekend of the Commonwealth Games with thousands of people from across the globe gathering in the city for the sporting event. After we arrived at the Sea Cadet yachts, TS City Liveryman & TS Vigilant, we found ourselves in the middle of a Flotilla of 250 yachts, all gathered together for the Commonwealth Games. What a sight! Our lovely skippers welcomed us on to the yachts with a lovely meal, and after a long day of travelling we settled down to get some sleep ready for the week ahead. 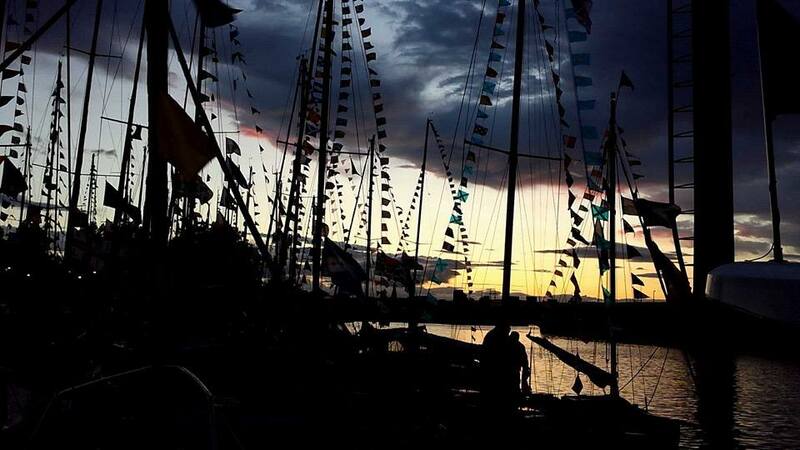 The second day started slowly, with a long morning waiting for the conditions to be right for the flotilla to leave Glasgow. When all 250 yachts of the Flotilla did finally depart it was chaos. 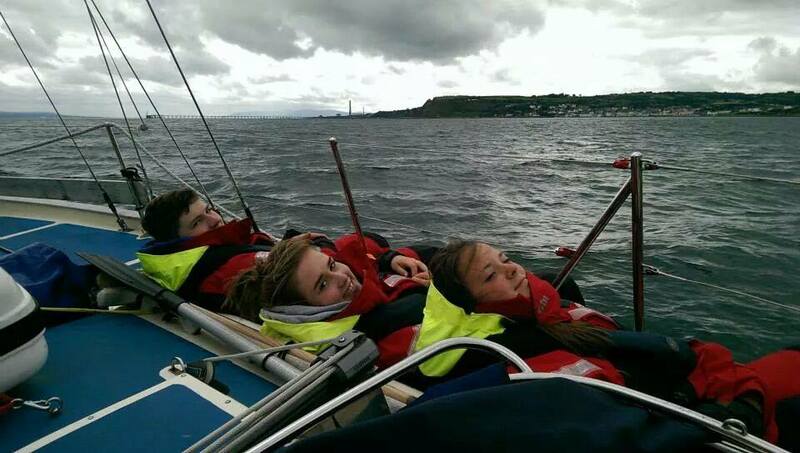 As we weren’t allowed to use sails, we motored out of Glasgow & into the Firth of Clyde. The weather conditions were a bit of a challenge for us new ‘yachties’, and our next destination of Inverkip required us to do a lot of tacking- sailing close to the wind & making turns in a zig-zag pattern to sail up-wind. After another long day – and despite the fact this was only our second – the luxurious shower facilities at Inverkip marina were definitely a highlight and were very much appreciated. After another lovely meal cooked by ourselves, we explored the town before heading back to the boats & settling down in our bunks for the night. We woke up nice & early on day three and, after preparing the boats, set off in to the misty Firth of Clyde. Whilst sailing down towards the Isle of Arran, we had lessons about points of sail and useful knots. Eventually we arrived at our mooring in Lamlash, where we took the opportunity to go swimming and to practise our rowing skills in the small inflatable boats. In the evening we stayed on the yachts and played board games, which made a nice change from being on our mobile phones & social media. Day four we got up at 1.30 am to set sail for Ireland. This was our first experience of sailing at night & because it was so dark we all had to be very aware of our surroundings to make sure we didn’t hit anything. One person steered the boat and, as visibility was very poor, the others kept a look out and learned how to use the radar to lookout for other boats. The wind was so strong the boat was tilting a lot, which made cooking bacon sandwiches in a very small galley at 4am an interesting experience. After breakfast, we worked in a watch system – where we took it in turns to spend 2 hours sailing and 2 hours asleep – until we arrived at Glenarm in Northern Ireland about lunch time. The following day we sailed to Carrickfergus, stopping at Larne for lunch. During our passage, we learnt how to rescue a Man Overboard, but thankfully we didn’t have to put our new-found skills into practice. At Carrickfergus we had to come alongside other yachts, which allowed us to learn that it is good manners to ask permission before walking across another boat. 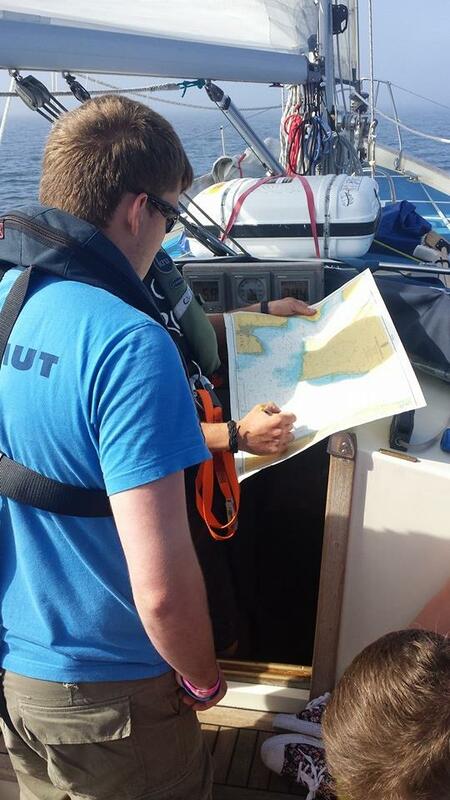 The next day was a test of our navigation skills, as when we set sail we only had 0.6m of water beneath the boat meaning we had to pay close attention to the charts (sea maps) and buoys to ensure we didn’t run aground. We also learnt how to sail the fastest and most efficient way using the wind. After arriving in Abercorn Basin, we came alongside the Sea Cadet’s Tall Ship TS Royalist. We were invited aboard and had the chance to socialise with some other cadets from all across the UK over pizza, which was a nice way to end our sailing adventure. 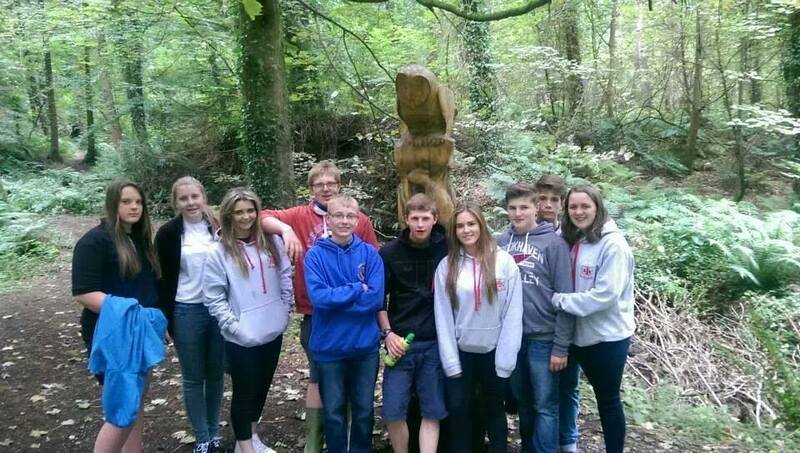 Without the assistance of the Ulysses Trust most of us would not have been able to afford this trip, and the confidence we have gained and the skills we have learnt are invaluable.